We got a big modpack update today for you! As soon as we heard that the makers of Sky Factory had just released a new modpack we knew that we had to have it right away! 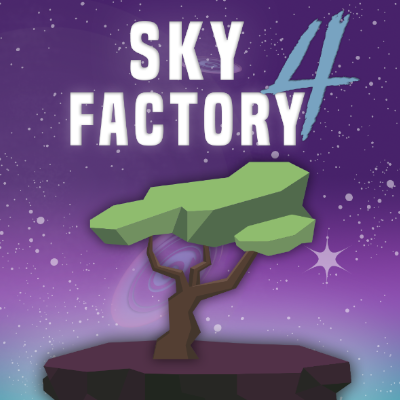 So without further ado we are proud to announce that Sky Factory 4 is available now on Apex! So let’s take a look at what’s new and separates this pack from the previous entries! A brand new prestige game mode with prestige points that allow you to progress in a whole new way! Over 30 different world types with unique systems in place for tons of replayability. The advancement systems are now automated! So no more having to check off goals or objectives! New content updates constantly coming out with even more features! There is even more as we didn’t even scratch the surface but it’s shaping up to be one of the greatest Sky Factory packs ever if not one of the best packs ever! So be sure go get out there and play it as well as checkout all the information about it here!